Thank you to all who supported the Famoudou Konaté workshops from 2000 through 2004. Highlights from all 4 North American tours are coming soon. 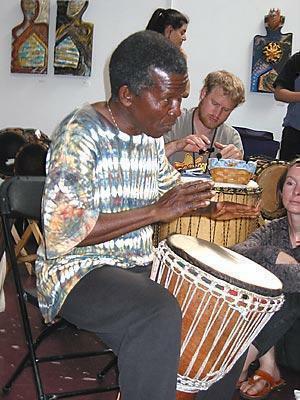 Past and current contents of this site ©1999-2012 the Chicago Djembe Project. May not be re-used or reprinted in any form without permission.